When promoter Paul Loasby put on the first Monsters of Rock Festival in 1980 he could probably never have imagined it would become an annual event that would endure for so many years. Featuring bands from the UK, Germany, Canada and USA, Loasby chose to stage the event at the Donington race circuit in the middle of England. It would prove to be a defining moment for many of the bands on the bill. 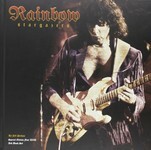 Not least for headliners Rainbow as it was their last ever show to feature drum legend Cozy Powell. As it would happen it turned out to be the last for vocalist Graham Bonnet as well. For many of the other bands on the bill such as Scorpions, Judas Priest and Saxon, they were all on the ascendancy and would soon go on to greater success. Now in celebration of this first ever Monsters of Rock Festival comes this hardback book full of glorious photos of the bands that took to the stage for that inaugural event. Most of these shots have not been published before which add to the uniqueness of this tome. Also included are stories surrounding the event with tales and recollections from those who were there, including artists and fans alike plus a foreword by Rainbow's Don Airey that sheds light on the background to the event. This deluxe 128-page book is packaged in its own flight case and is strictly limited to 300 copies. Each book will be signed by the author. EDITORIAL CONTROL: This book requires total independent editorial control. It has not been authorised or approved by any of the acts or their management or the Monsters of Rock Festival.